We are hosting 2 events! One in Norcal and our main event in Socal! *Registration covers car and driver only. Passengers must purchase a general admission ticket. Our 5th annual show is upon us! Come join us collectively as Nissan, Datsun and Infiniti ethusiasts gather alike under one location. 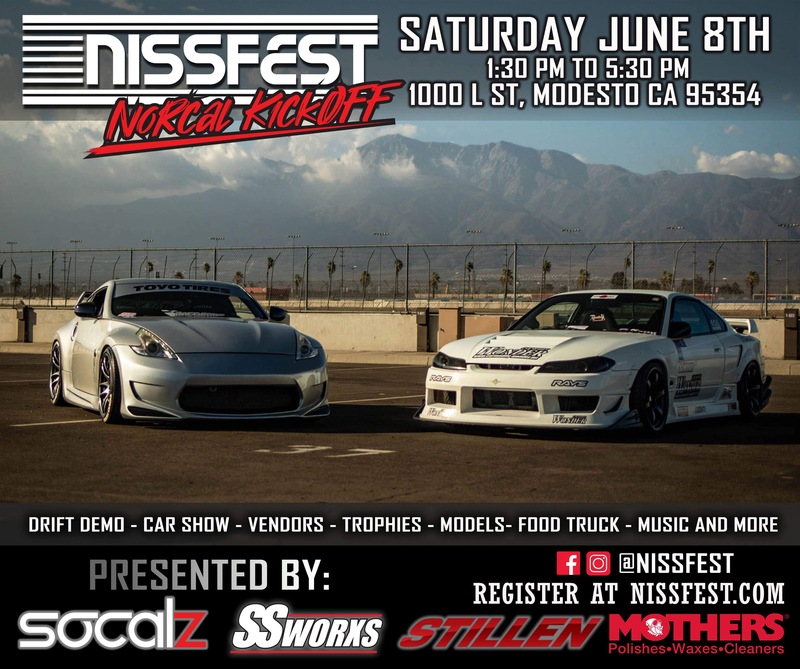 This years show is presented by SoCalZ, Stillen and SSWorxs. As we strive to bring you a bigger and better show each year, its our goal to always make sure you have fun in the process. Please mark your calendars for Sunday October 12, 2019 and we hope to see you then!